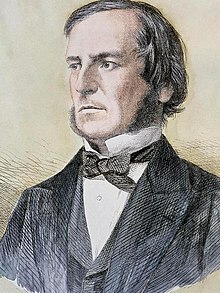 Today is the 200th birthday of George Boole, the man famous for his Boolean logic, was an English mathematician, educator, philosopher and logician. He worked in the fields of differential equations and algebraic logic, and is best known as the author of The Laws of Thought which contains Boolean algebra. He was born on 2 November 1815 at Lincoln, Lincolnshire, England. His legacy was Boolean logic, a theory of mathematics in which all variables are either "true" or "false", or "on" or "off". The mathematician became one of the founding fathers of modern computer science and engineering – despite never finishing school but it took him several years to master calculus as he had no tutor. His system of Boolean Logic paved the way for modern electrical engineering and computer science and his ideas were put to use more than 70 years after his death when Victor Shestakov at Moscow State University in Russia proposed using the system to design electrical switches, according to the Scientific American. He was a polymath having learned French, German, Latin and Greek. He founded a school when he was just 19 in the year 1839 and also in 1840. He became the first professor of mathematics at the newly founded Queen’s College, Cork (now University College Cork) in Ireland in 1849. Boole was awarded the Keith Medal by the Royal Society of Edinburgh in 1855 and was elected a Fellow of the Royal Society in 1857. He received honorary degrees of LL.D. from the University of Dublin and Oxford University. He died of fever-induced pleural effusion on 8 December 1864 (aged 49) at Ballintemple, County Cork, Ireland and was buried in the Church of Ireland cemetery of St Michael's, Church Road, Blackrock (a suburb of Cork City). There is a commemorative plaque inside the adjoining church. Google honored him today, 2 November 2015, for his 11001000th birthday with a doodle.